Metal deactivators prevent corrosion by passivating metal surfaces. Passivation leaves a less chemically reactive layer on the metal surface. Correspondingly, metal deactivators render the metal surface less susceptible to corrosion. Corrosion inhibitors prevent corrosion reactions from taking place; but, do not necessarily chemically alter the metal surface. Additionally, for some applications, they also use viscosity index improvers, oil tackifiers, pour point depressants, light stabilisers, solid lubricant dispersions, anti foams, detergents, and dispersants. Antioxidants carry out their functions in solution in the oil. By contrast, EP/AW additives, corrosion inhibitors, and metal deactivators operate at the surfaces of the moving parts. Furthermore, these four additive types compete with each other for access to surface sites. It is, therefore, important for formulators to carefully balance the mix of additives that they use to mitigate competition. Blenders add metal deactivators to lubricants, primarily to protect copper and yellow metals. The deactivators passivate the surfaces of copper, bronze, or brass pipework and fittings. Conversely, they add corrosion inhibitors to protect iron, steel, magnesium, and aluminium. Corrosion inhibitors protect these more reactive metals whose surfaces can not sufficiently passivate. Some additives perform or assist with more than one function. For example, the anti-wear agent ZDDP also acts as an antioxidant. Since, lubricant blenders can use ZDDP either as an antioxidant, or as an AW agent, or for both, we consider it to be multifunctional. Conversely, some other additives perform only a single function. Clearly, if blenders use an additive for only one function then that additive is not multifunctional. However, some additives perform one function and, indirectly, assist with another. Specifically, such additives perform their function, while also augmenting the protection that a different additive offers. For example, a metal deactivator may also help to improve the thermo-oxidative stability of a lubricant by impeding the formation of oxidation catalysts. 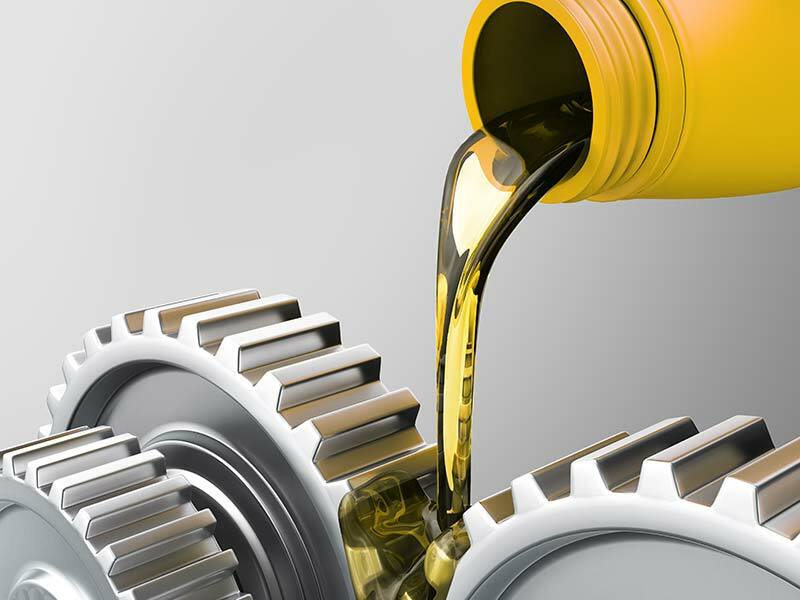 We have developed Brad-Chem 526, which is a corrosion inhibitor and metal deactivator for lubricant oil. This product not only offers excellent copper & yellow metals protection; but, also, protects iron, steel, aluminium and magnesium. Moreover, in some applications, some users of Brad-Chem 526 have also reported seeing better lubrication and oxidation stability. Brad-Chem 526 mixes readily with mineral oil and synthetic base oils. Blenders can use Brad-Chem 526 for making engine and gear oils, as well as hydraulic oils and many industrial applications. Additionally, this product performs highly effectively, even at low treat rates; thus, reducing the competition with other surface additives. Contact us for further information or technical support.